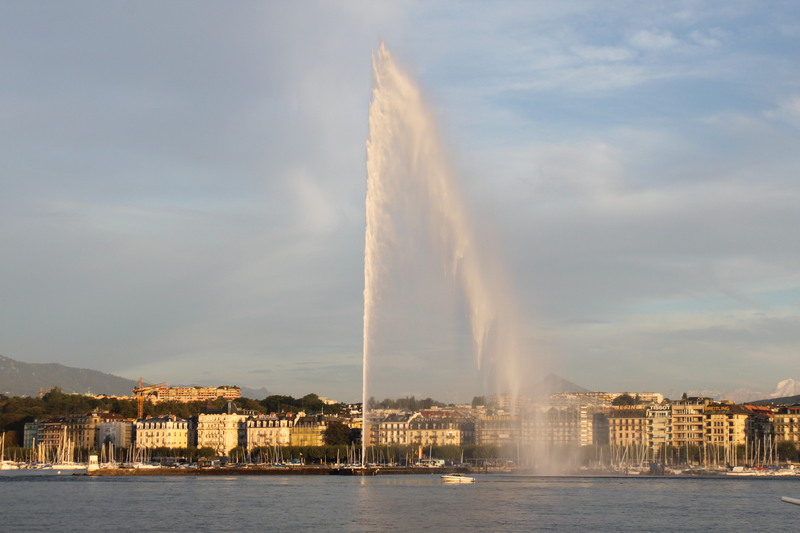 Next time you get a chance to visit Geneva, the beautiful city on the lake, why not make your stay as comfortable as possible? Check-in at the centrally located Beau Rivage, a five star luxury hotel established and still owned by the Mayer family since 1865. The hotel is not only luxury, good service and excellent dining but a historical landmark that has witnessed events that have shaped politics over the past two centuries. For example, in 1898, the Empress Élisabeth of Wittelsbach was killed by an anarchist just as she left the hotel; and in 1918 the “birth” of Czechoslovakia was signed on its premises. The atmosphere whispers historical references, many we didn’t know, but were happy to listen to. Beau Rivage is basically a legend among connoisseurs who come here for the ambience but also the gastronomy offered by the two restaurants – the Le Chat-Botté and Patara (fine Thai cuisine). The bar L’Atrium is known as a top meeting point for local dignitaries and international financiers. Our stay here was very pleasant. The location next to the Geneva lake is unbeatable and the service at the reception impeccable. The room is well planned and offered everything we could ask for. The only drawback we could find was the WiFi, it was way too slow. In 2008, Beau Rivage became the first and only luxury hotel in Geneva to get an ISO 9001-200 quality certificate from the International Organization for Standardization. In 2009, it became a member of the Leading Hotels of the World. Not bad, not bad at all. 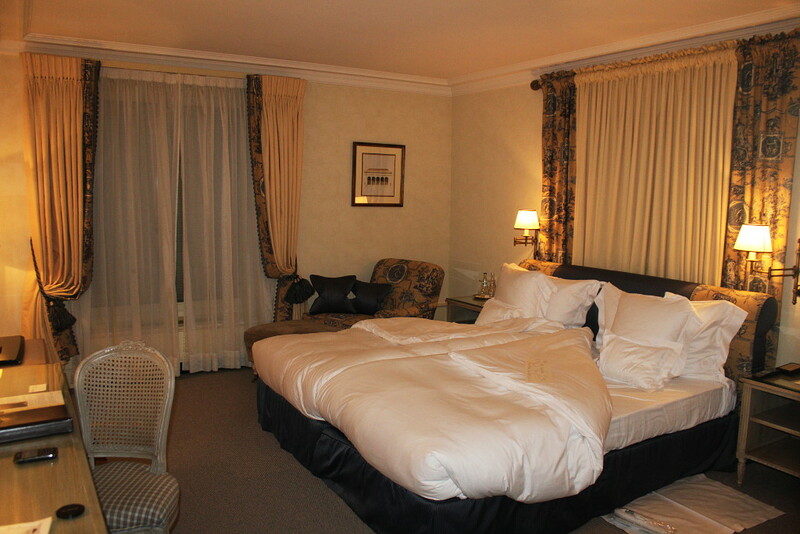 More reviews from Geneva: Hotel Intercontinental and restaurant Auberge de Saviese. 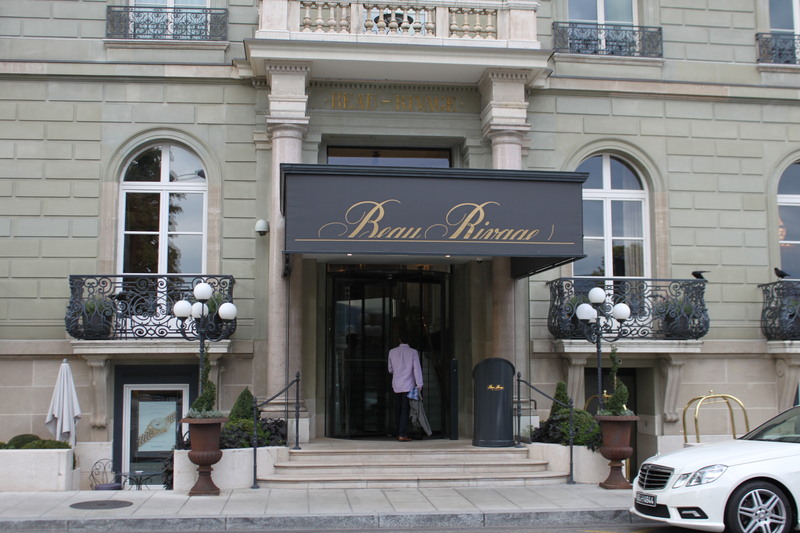 Posted on October 2, 2012, in Geneva, Hotel reviews and tagged Beau Rivage, Geneva, Hotel, L’Atrium, Le Chat Botté, Patara, travel. Bookmark the permalink. 2 Comments.